If you work for a growing company that provides a product or service, ask your CEO what the 5 biggest concerns that keep him up at night are. While CEOs face many challenges, you can be certain that one point will make every CEO’s list: sales performance and productivity. The reason is simple – sales are the lifeblood of most companies, as they keep the machine working by providing a flow of new revenue. If a salesperson is not productive, the company is losing money. That’s why companies invest millions of dollars in implementing CRM (customer relationship management) systems, training the sales team, and measuring sales team performance. Beyond the obvious sales team productivity challenge, which includes lack of access to relevant CRM data and performance dashboards, as well as the under utilization of mobile technology, we’ve identified a secret productivity assassin, one that is often missed: the quote preparation process. Salespeople create quotes on a daily basis. 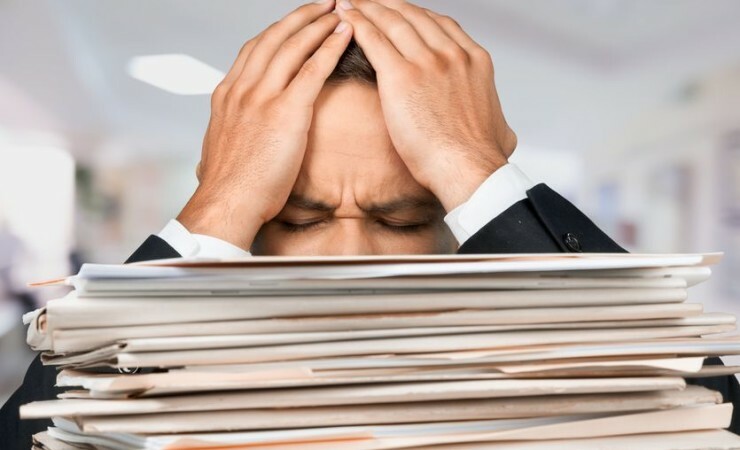 While quote creation means a sales team is doing their job well, it also means a hiccup in their workflow; depending on the amount of sales representatives, and the complexity of the quote preparation process, it might well be that this standard process is killing your sales team’s productivity by wasting time with admin-related tasks. Are You Suffering from the Same Phenomenon? A small sales team with a complex quote creation process: even if your company uses Salesforce, there are cases where a complex calculation needs to be done in order to create a quote– a time consuming process that is prone to mistakes, which leads to considerable effort by the sales team. A similar challenge exists in cases of complex quote layouts or in cases with a large variety of quote templates that need customization per client. Large sales teams with simple quotes: the main challenge in these cases is maintaining uniformity in the design and language of the quotes. The productivity impact in these cases is the extra effort required to maintain this uniformity. Large sales teams with a complex quote creation process: This circumstance combines the worst of both worlds. In some cases productivity loss can be tolerated but, when it is multiplied in large numbers, it can have a real negative impact on the bottom line. Calculate lost productivity based on average salary – the amount of time it takes a salesperson to create a quote as a portion of her salary, multiplied by the amount of salespeople. Here the output will simply be dollar value of lost productivity. Calculate alternative cost – in this method we are asking ourselves what could the salesperson do instead of generating quotes. The two main activities that we took into account are client meetings and outbound calls. In this case, you should calculate the amount of time it takes to create a quote and compare it to the amount of time required to meet a client or conduct a set of outbound calls. For example, let’s assume that the time it takes to create a quote is equivalent to the time it takes to make time 5 outbound calls, and that a salesperson creates 5 quotes a day. In this case, automating quote generation could lead to 25 additional outbound calls per day. Since you already know the impact of outbound calls on opportunity creation and revenue generation, you could estimate the lost revenue growth due to manual quote creation. By multiplying that by the amount of salespeople, you can have a clear estimation of lost revenues to your business. Taking it to the Next Level We see again and again that automation of key activities, especially when it comes to one of the most valuable areas of your organization, brings tangible business value to your company. Do the math and answer this one question – can you afford not to do that? Be the first to download our free prep kit to help present the benefits of automated Salesforce documents to management.